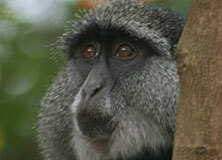 Professor Ian Gaigher is an emeritus professor at Venda University and the director of the Lajuma Research Centre. Following a distinguished career that included senior roles with CapeNature, associate professor at University of the Orange Free State, and dean of science at Venda University, he took on the Lajuma Research Centre in 2003. Ian was head of the team appointed by the Department of Environmental Affairs to compile the successful nomination for the UNESCO Vhembe Biosphere Reserve, and is central to the Limpopo Leopard Forum and other regional conservation initiatives. 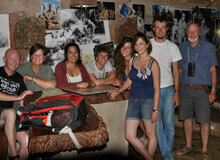 Ian is responsible for the logistical management and arrangements on Earthwatch teams. 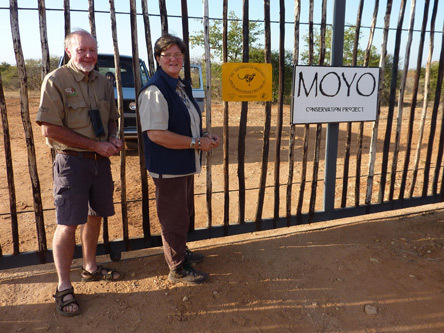 At the MOYO Conservation project. Ian Gaigher and his research team.